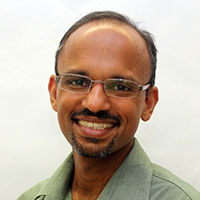 Santosh Kumar is the Lillian and Morrie Moss Chair of Excellence Professor in the Department of Computer Science at the University of Memphis. He received his Ph.D. in Computer Science and Engineering from The Ohio State University in 2006, where his dissertation won a presidential fellowship. In 2010, the Popular Science magazine named him one of America’s ten most brilliant scientists under the age of 38 (called “Brilliant Ten”). In 2011, he chaired the “mHealth Evidence” meeting jointly organized by NIH, NSF, RWJF, and McKesson Foundation to establish evidence requirements for mHealth. In 2013, he was invited to meet with the NIH Director to advise him on NIH efforts in the area of mHealth and was invited to the White House to give a talk on the future of Biosensors. In 2014, he co-organized and co-chaired the NSF-NIH Workshop on Computing Challenges in Future Mobile Health (mHealth) Systems and Applications. More about Dr. Kumar. Deniz Ones is the Hellervik Professor of Industrial Psychology and a Distinguished McKnight Professor at the University of Minnesota. Her research focuses on individual differences in work settings (e.g., personality, cognitive ability, job performance, counterproductive work behaviors, environmental sustainability behaviors). 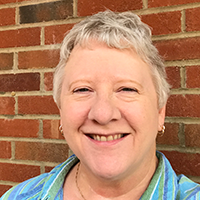 She is a Fellow of the Association for Psychological Science and the American Psychological Association (Divisions 5 and 14 – SIOP), for which she also chaired the Committee on Psychological Testing and Assessment (CPTA). 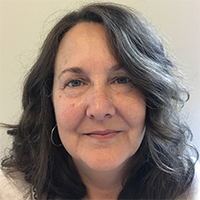 Previously, she co-edited the two-volume Handbook of Industrial, Work and Organizational Psychology (2001) and served as an editor-in-chief of the International Journal of Selection and Assessment and associate editor of the Journal of Personnel Psychology. Most recently, she co-chaired the 2011 SIOP Theme Track on Environmental Sustainability, and edited (with Susan Jackson and Stephan Dilchert) the latest volume in the SIOP Professional Practice Series dedicated to Managing Human Resources for Environmental Sustainability. In her applied work, Ones helps organizations select, train, and motivate their employees for environmental sustainability. Eugene Buder is an Associate Professor at the School of Communication Sciences and Disorders at the University of Memphis and has been a member of this faculty since 1996. His undergraduate degree from Harvard College was earned in a self-designed major that combined the fields of Psychology and Linguistics, among others, to compare speech and music as modes of communication. 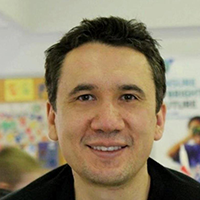 He pursued these interests at the University of Alberta by studying rhythmic and melodic aspects of conversational communication, earning a Masters degree in Education and Anthropology. For his Ph.D., he dually enrolled in Communication Arts and Communicative Disorders at the University of Wisconsin-Madison and was mentored by Ray Kent. Following completion of this degree in 1991, he served for four years as a post-doctoral Research Associate and as Acting Assistant Professor at the Department of Speech and Hearing Science at the University of Washington studying toddler's language acquisition under Carol Stoel-Gammon. He currently directs the Social Interaction Laboratory, administers the Adult Conversation Recording Laboratory, and supports the Infant Vocalization Laboratory. His primarily collaborators at the University of Memphis include CSD professor D. Kimbrough Oller on infant vocal development, and Computing Science professor Santosh Kumar on mobile sensing projects related to respiratory and vocal behaviors during conversation. 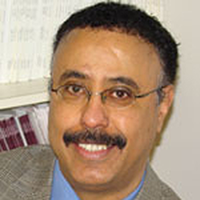 Mustafa al’Absi is a Max & Mary La Due Pickworth Chair and Professor of Behavioral Medicine, and founding Director of Duluth Medical Research Institute at University of Minnesota Medical School, Duluth Campus. Dr. al’Absi directs a research program focusing on neurobiology of stress, appetite regulation, and tobacco addiction. His programs have been funded by grants from the National Institute on Drug Abuse, the National Cancer Institute, the National Health, Lung and Blood Institute, and the American Heart Association. He has chaired various national and international scientific committees and functions, and has received several honorary awards, including the Neal E. Miller Young Investigator Award from the Academy for Behavioral Medicine Research and the Herbert Weiner Early Career Award from the American Psychosomatic Society. More about Dr. al’Absi. Emre Ertin is a Research Associate Professor with the Department of Electrical and Computer Engineering at The Ohio State University. He received the B.S. degree in Electrical Engineering and Physics from Bogazici University in Turkey in 1992, the M.Sc. degree in Telecommunication and Signal Processing from Imperial College, U.K. in 1993, and the Ph.D. degree in Electrical Engineering from Ohio State in 1999. From 1999 to 2002 he was with the Core Technology Group at Battelle Memorial Institute. His current research interests are biomedical sensor design and statistical signal processing with application to sensor networks and mobile health. More about Dr. Ertin. 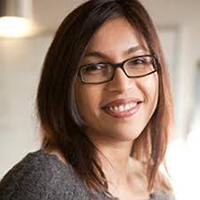 Tanzeem Choudhury is an Associate Professor in Information Science at Cornell University. She directs the People Aware Computing group, which develops mobile sensing systems for understanding life patterns of individuals, groups, and societies. A key mission for ofthe group is to change the way mental health is diagnosed and treated by creating novel wearable and mobile system that continuously track mental wellbeing. She is also am a co-founder of HealthRhythms that aims to bring novel technological solutions to facilitate mental wellbeing. Dr. Choudhury received her Ph.D. degree from the Media Laboratory at the Massachusetts Institute of Technology (MIT). As part of her doctoral work, she created the sociometer and conducted the first experiment that uses mobile sensors to model social networks, which led to a new field of research referred to as Reality Mining. She has a Bachelor of Science degree in electrical engineering from the University of Rochester, and a Master of Science degree from the MIT Media Laboratory. More about Dr. Choudhury. 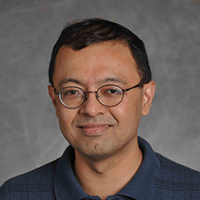 Mani Srivastava is a Professor of Electrical Engineering and Computer Science at the University of California, Los Angeles. His research is broadly in the area of networked human-cyber-physical systems, and spans problems across the entire spectrum of applications, architectures, algorithms, and technologies. His current interests include issues of sensing, privacy, security, data quality, and variability in the context of applications in mHealth and sustainability. He is a deputy director of NSF Expeditions on Variability and is the lead investigator on an NSF Cyber Physical Systems Frontier Project called RoseLine. His works have been cited extensively (over 30,000 times) and have won several best paper awards. He has served as editor-in-chief of IEEE Transaction on Mobile Computing and the ACM Mobile Computing and Communication Review. He is a Fellow of IEEE. More about Dr. Srivastava. 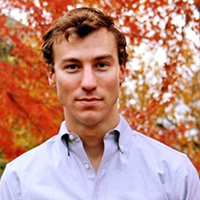 Benjamin Marlin joined the College of Information and Computer Sciences at the University of Massachusetts Amherst in 2011. There, he co-directs the Machine Learning for Data Science lab. His current research centers on the development of customized probabilistic models and algorithms for time series with applications to the analysis of electronic health records and mobile health data. His recent work includes probabilistic models for analyzing wireless ECG data, detection of cocaine use from wireless ECG, hierarchical activity recognition from on-body sensor data with applications to smoking and eating detection, and methods for mitigating lab-to-field generalization loss in mobile health studies. 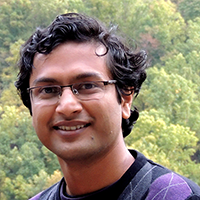 Marlin is a 2014 NSF CAREER award recipient and a 2013 Yahoo! Faculty Research Engagement Program award recipient. His research has also been supported by the National Institutes of Health, the Patient-Centered Outcomes Research Institute, and the US Army Research Laboratory. Prior to joining UMass Amherst, Marlin was a fellow of the Pacific Institute for the Mathematical Sciences and the Killam Trusts at the University of British Columbia. 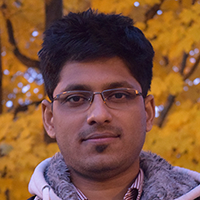 He completed his PhD in machine learning in the Department of Computer Science at the University of Toronto. More about Dr. Marlin. 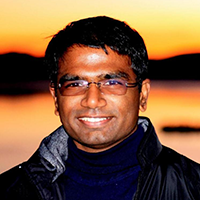 Deepak Ganesan is Professor in the Department of Computer Science at the University of Massachusetts Amherst. 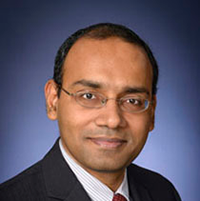 Dr. Ganesan has worked for over a decade at the intersection of wireless sensing for health, wireless and mobile sensing, and low-power embedded systems, and designs novel systems based on strong theoretical foundations and grounded in real-world deployment and experimentation. He leads the Center for Mobile Health Sensing at UMass, and is on the advisory board of the Center for Personal Health Monitoring. More about Dr. Ganesan. 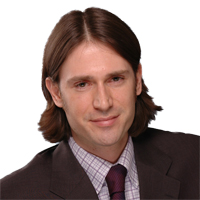 Stephan Dilchert is an Associate Professor of Management and organizational research consultant who frequently advises private and public-sector organizations on matters of employee recruitment, assessment, and selection. His research and applied work makes use of large-scale organizational datasets to investigate the efficacy of various assessment tools and prediction methods. He has served as an expert for establishing guidelines on background checks, cybervetting, and integrity assessment for various law enforcement and government entities. For his work on employee creativity, he was awarded the S. Rains Wallace Award from Division 14 of the American Psychological Association, as well as the Early Career Award from the Eastern Academy of Management. In addition to a Ph.D. in industrial and organizational psychology, Dilchert holds SPHR certification from the Human Resources Certification Institute and SHRM-SCP certification from the Society for Human Resource Management. 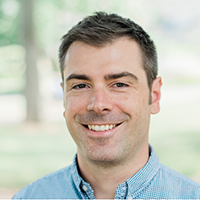 Kevin Stanek is a researcher specializing in individual differences and how they relate to behavior, cognition, and outcomes in the workplace and in life more broadly. Fundamentally, his research aims to decipher and predict human behavior. His work ranges from the investigation of counterproductive behavior across life domains to the role of genetics in job satisfaction. It has been used to design personnel selection systems, improve meta-analytic methodologies, and connect disparate literatures and disciplines. He earned his doctorate in individual differences and industrial/organizational psychology at the University of Minnesota, his master's in behavioral genetics at the University of Minnesota, and bachelors degrees in economics and psychology at the University of Southern California. Kevin currently works at a Fortune 100 company managing human capital analytics and research. Additionally, he consults with organizations on personnel issues, such as talent management research, retention prediction, and employee experience design. More about Dr. Stanek. 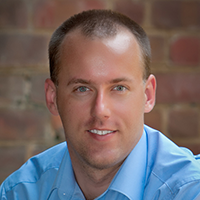 Brenton M. Wiernik is a postdoctoral fellow in Personality Psychology at the Ghent University, Belgium. His research focuses on the measurement and application of individual differences, including vocational interests, personality traits, and cognitive abilities, for understanding how individuals develop and change throughout their working lives. He studies individual differences’ contributions to career adaptation, as well as employee responses to changing work demands, such as changing needs to promote environmental sustainability through work behaviour. Wiernik also actively works to develop new quantitative methods for psychometric assessment and meta-analysis. 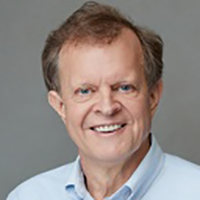 His work has appeared in journals such as the Journal of Vocational Behavior, Career Development International, Annual Review of Organizational Psychology and Organizational Behavior, Multivariate Behavioral Research, Industrial and Organizational Psychology, and the Journal of Managerial Psychology, as well as numerous edited scholarly books. Wiernik was the lead editor of Managing Expatriates: Success Factors in Private and Public Domains and serves on editorial boards of the Journal of Business and Psychology, the Journal of Environmental Psychology, and the International Journal of Selection and Assessment. Nasir Ali is an assistant research professor at University of Memphis. Prior to joining University of Memphis, he worked as a Postdoctoral fellow at University of Waterloo and Queens University (Canada). He received his Ph.D. from Ecole polytechnique de Montreal. 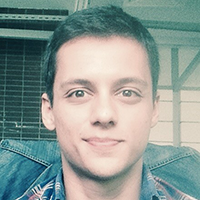 His research interests include software maintenance, software quality, and mining large software repositories. 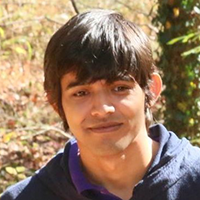 His current work involves developing tools/algorithms to analyze mobile sensor data. 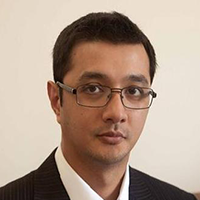 Min Hane Aung holds a Ph.D. in Machine Learning for Health Applications. He is a research associate within the People-Aware Computing group at Cornell University, a visiting lecturer at the University College London Interaction Centre and a data science consultant for the smartphone based mental health monitoring start-up HealthRhythms Inc. He is also a member of the United Kingdom’s Institution of Engineering and Technology. The mainstay of his current research is in the development of intelligent systems for the understanding of behavior using ubiquitous sensing techniques, predominantly from smartphones. Principal application areas include mental health and wellness, chronic pain management as well as general functioning and affect recognition. Timothy Hnat is Chief Software Architect for the MD2K Center. He previously served as Assistant Professor of Computer Science at the University of Memphis. 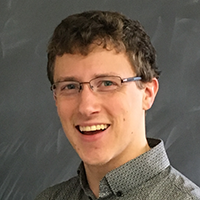 His research interests cover several areas of the construction and evaluation of distributed systems, including compilers, programming languages, networking, and wireless sensor networks. He seeks to harness the potential of distributed systems to affect and interact with the physical world to address mHealth issues. More about Dr. Hnat. 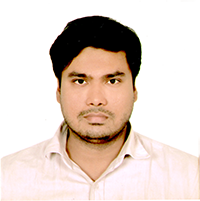 Mononwar Hossain is Lead Software Engineer for the MD2K Center. He is a Ph.D. Student in the Department of Computer Science at the University of Memphis. 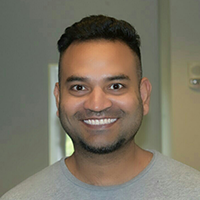 He has 4+ years of experience in designing, implementing, integrating, testing and supporting mHealth applications to conduct research studies using wearable sensors for mobile devices on the Android platform. His research interest is on real time inference of different user behavior and context from physiological measurements collected from body worn sensors. Nusrat Nasrin is Software Engineer for the MD2K Center. 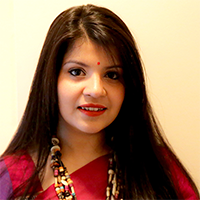 She holds a master's degree in computer science from The University of Memphis and a bachelor's degree in computer science and engineering from University of Dhaka. Her research interest is on dynamic energy management in smartphones for streaming sensor data collection, real-time Analytics and intervention. Alexis Payne is a Research Associate II at University of Memphis in the School of Communication Science and Disorders. Alexis received her master’s degree in Experimental Psychology from Mississippi State University in 2013 and is currently a doctoral candidate in Mississippi State University’s Applied Cognitive Science program. Her research interests include memory, cognition, and the relationship between language and memory. Erik Risinger is a staff researcher at the College of Information and Computer Sciences at UMass Amherst. His work focuses on the real-time collection, analysis and visualization of mobile and wearable sensor data. Shahin Samiei is the Manager of Research Data & Studies for the MD2K Center. His background includes a Bachelor of Science in Biology and a Master of Public Health, both from the University of Memphis. 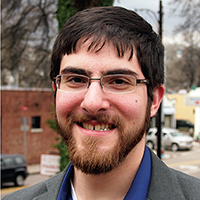 Shahin has previously worked for the University of Memphis as a Research Associate, where he was responsible for the day-to-day operation of a research partnership involving the Urban Child Institute and Shelby County Schools. His previous work helped to build greater understanding of how early experiences affect school readiness and later academic achievement for young children in Memphis, Tennessee. 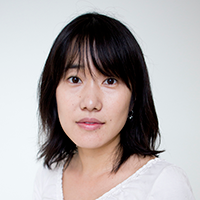 Akane Sano is a Visiting Scientist at People-Aware Computing Lab, Cornell University and a Research Scientist at Affective Computing Group, MIT Media Lab. She will be joining Rice University as an Assistant Professor of Electrical and Computer Engineering and of Computer Science in July 2018. Her research focuses on mobile health and affective computing. She has been working on measuring and understanding stress, sleep, mood and performance from ambulatory human long-term data and designing intervention systems to help people be aware of their behaviors and improve their health conditions. She completed her PhD at the MIT Media Lab in 2015. Before she came to MIT, she worked for Sony Corporation as a researcher and software engineer on wearable computing, human computer interaction and personal health care. 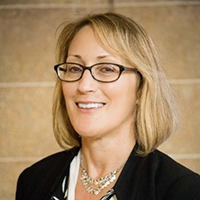 Soni Rraklli Uccellini is a Community Program Specialist for the University of Minnesota's Behavioral Medicine Laboratories (Duluth) and the Tobacco Research Programs (Minneapolis). Soni is a graduate of the University of Minnesota with a BS in Neuroscience. Soni is interested in the psychophysiology and behavioral aspects of addiction and has been working with dr. Mustafa al’Absi in the field of stress, appetite, nicotine and tobacco dependence since 2012. Sayma Akther is a graduate student in the Department of Computer Science at the University of Memphis. Her research focuses on health condition assessment from wrist worn inertial sensors and heart rate variability. The rise in heart rate during exercise is considered to be due to the combination of parasympathetic withdrawal and sympathetic activation. Heart rate can be high after exercising or performing any kind of physical activity. Faster heart rate recovery times after an activity indicate one’s fitness. My work aims to develop a heart rate recovery model after physical activity. Bharathan Balaji likes to work on research solutions that systematically address the societal challenges such as sustainability, equity in opportunity, education, mobile health, security and safety of systems. He applies principles of computing and build innovative systems. In general, his work lies in the areas of the Internet of Things and Cyber-Physical Systems. His projects span smart cities, ocean monitoring, mobile health, smart buildings, security, privacy and safety in Internet of Things. He likes to work in many aspects of computer science: hardware, software engineering, human computer interaction and systems. He is currently a Postdoctoral Scholar at University of California, Los Angeles, working with Prof. Mani Srivastava, and will be on the job market in 2018. You can find the details of my work at his webpage and Google Scholar page. 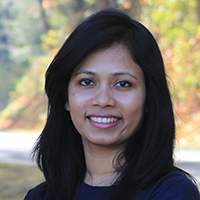 Soujanya Chatterjee is a Ph.D. student at the University of Memphis. His work aims at the development of machine learning based predictive model to inform Just-In-Time-Interventions for smoking cessation. Broadly, his work has two parts: First is the discovery and analysis of predictors (e.g. stress using respiration and ECG sensors and location using GPS sensor) of a smoking episode (detected from wrist sensors), and second, the development of the predictive model to prevent relapse. His belief is that real-time prediction and intervention would empower people with more information on their health, thus helping to improve their quality of life and well-being. 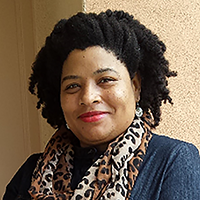 Brenda Ellis is a Ph.D. student in industrial/organizational psychology at University of Minnesota, studying under Dr. Deniz Ones. Her research areas include counterproductive work behavior, personality, and political and organizational leadership. She holds a bachelor of science degree in psychology from Indiana University, Southeast. Mr. Hawlader is a Ph.D. student at the University of Memphis under Dr. Santosh Kumar. 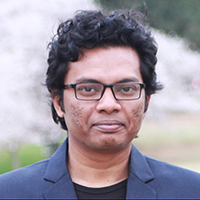 He joined the Department of Computer Science and Engineering, University of Dhaka, as a faculty member in 2014 after completing his BSc and MS degree from the same institution. Also, he has comprehensive experience of software development (3+ years) and competitive programming (7+ years). 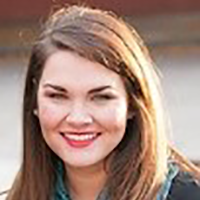 Megan Parsons is a Ph.D. student in Communication Sciences and Disorders at the University of Memphis. She is currently working under the mentorship of Dr. Eugene Buder and researchs deficits in social and communication interactions between individuals. 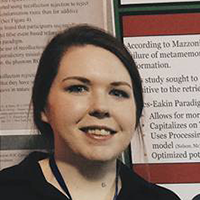 More specifically, Megan is interested in how traumatic brain injury affects cognition and communication processes. Monique A. Pousson is a certified audiologist at the University of Memphis in the School of Communication Sciences and Disorders. She has been providing research support for various laboratories in the SCSD for the last 23 years. 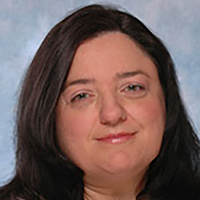 Her areas of research support include speech perception assessment, social interaction, infant vocalization, auditory electrophysiology, auditory cognitive neuroscience and hearing science. Nazir Saleheen is a Ph.D. student in Computer Science at the University of Memphis. 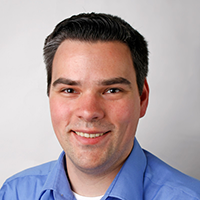 Leveraging mobile sensing and ubiquitous computing technologies, his research focuses on reliable and responsible detection of health behaviors using wearable sensors in a mobile environment, with specific focus on scalable computational methods and privacy-preserving approaches. He led the development of a computational model for detecting smoking lapse from respiration signal and wrist worn inertial sensors. Mr. Saleheen has implemented this model in a mobile platform that has been using in several smoking cessation studies. His second major contribution is a new model of differential behavior privacy that provides a method to preserving behavioral privacy in mHealth field studies that collect physiological sensor data. Azim Ullah is a PhD student in University of Memphis under Dr. Santosh Kumar. He received his Bachelor degree in Electrical and Electronics Engineering from Bangladesh University of Engineering and Technology in 2015. His interests mainly involve preprocessing and cleaning of the raw sensor data and computation of useful and intuitive markers from different physiological signals. 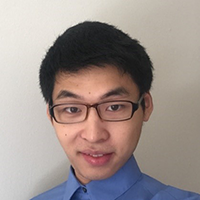 Yilei Wang is a Ph.D. student in Industrial/Organizational Psychology at University of Minnesota. His research interest includes decision making, personality and organizational pro-environmental behaviors. He holds a Bachelor of Science degree in Psychology and Marketing from Tulane University. Yagizhan Yazar is a Ph.D. student in Industrial and Organizational Psychology program at the University of Minnesota. He received his MS degree in I/O Psychology program from Middle East Technical University in 2016. His research focuses on selection and pro-environmental behaviors in organizations. 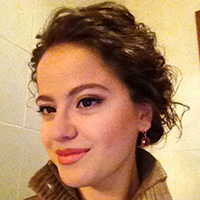 Alina Zaman is a Ph.D. student at the University of Memphis and works as a research assistant under Dr. Santosh Kumar. 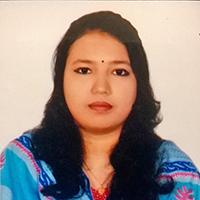 She received her Bachelor and Masters degree in Computer Science and Engineering from University of Dhaka, Bangladesh. Currently, she is investigating the personality traits for mPef project. 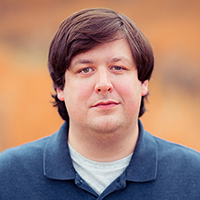 Brian Ahern is the Technical Writer/Training Specialist for mPerf and the MD2K Center. 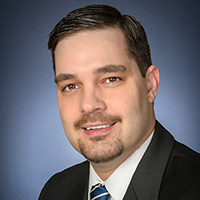 He holds a Master of Arts degree in English with a concentration in Professional Writing as well as a Bachelor of Business Administration degree in Management Information Systems, both from the University of Memphis. Prior to joining MD2K, he worked on the Creative Design Team at Hunter Fan Company where he authored and designed manuals for all Hunter products as well as developed marketing copy and other user-facing communications. Mr. Ahern creates instructional manuals, videos, and other materials related to MD2K and mPerf. Joseph Biggers is Director of Administrative Operations for mPerf and MD2K. Prior to joining the center, he was Director of Alumni & Constituent Relations for the University of Memphis Alumni Association and was responsible for day-to-day office operations, including staff supervision and human resources. Biggers was a North Carolina Teaching Fellow and received both his bachelors and masters degrees in Sport Management & Administration from East Carolina University. Before moving to Memphis and joining the University staff in 2008, he taught in the North Carolina Public School System and interned with the Atlantic Coast Conference and the ECU Pirate Club. 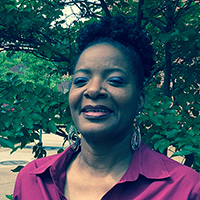 Cheryl Hayes is Business Officer for mPerf and MD2K. Since joining the University of Memphis’s Department of Computer Science in September 2003, she has held the title of secretary, and later of Administrative Associate until April 2015. Ms. Hayes ran the day-to-day operations for the department, including administrative, academic, HR, financial and research support. She has gained valuable knowledge, skills and experience during her 11-plus years at the university. Also during her tenure, she has earned an MPS in Human Resources Leadership degree and an MBA degree. Her BBA degree was earned from Delta State University in Cleveland, MS.
Vernisa Hazlett is a project coordinator for mPerf and MD2K. She has more than 20 years of professional experience in the areas of Health and Research Administration, Education, Legal, Medical and Administration services. Her experience includes positions at The University of Memphis Research and Development Administration, University of Tennessee Health Science Center (UTHSC) Telemedicine, the UTHSC Biomedical and Information Technology Center, UTHSC Urology, The Memphis and Shelby County Health Department, UTHSC Family Medicine Department, and The Outreach Center. Barbara Burch Kuhn is Director of Communications and Media for mPerf and MD2K. She has more than 30 years experience as a print and digital journalist, including 23 years on the staff of The Commercial Appeal in Memphis, where she was Online Content Manager of the newspaper’s website. Since leaving the newspaper, she has worked in corporate communications and marketing, including positions as Web Communications Coordinator for Morgan Keegan & Co. and as a financial writer for Raymond James. She has a degree in communication arts from James Madison University.